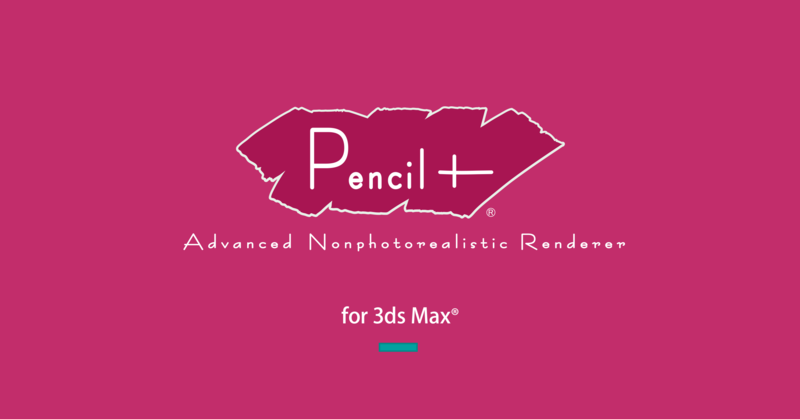 We released PSOFT Pencil+ 4.1.2 for 3ds Max which supports 3ds Max 2020. The update includes new functionality and bug fixes. Registered users of Pencil+ 4 for 3ds Max can update their products for free. Added compatibility with 3ds Max 2020. Fixed a problem where the Nitrous shader for "Pencil+ 4 Material" did not work with 3ds Max 2019 Update 3 and up. Fixed a problem where the outline detection did not work correctly when using [Draw Hidden Lines as Visible Lines] under [Pencil+ 4 Material / Line Related Functions]. Fixed a problem where detection of material and object duplicates did not work correctly when merging Lines with the [Line Merge Helper]. Fixed a problem causing crashes when performing specific operations with the Curve controls. Registered users of Pencil+ 4 for 3ds Max can download the latest version by accessing the "Download" section of the PSOFT User Page.